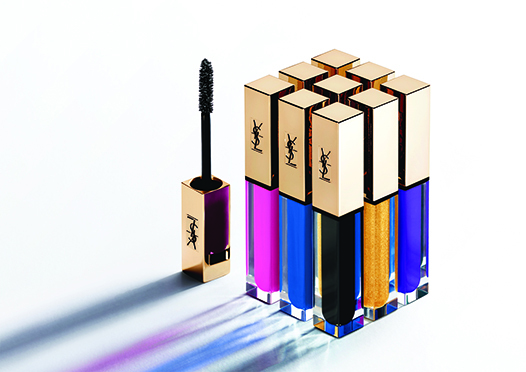 YSL Beauté has launched its Vinyl Couture Mascara collection (£25), available now at yslbeauty.co.uk and nationwide from 25 May. 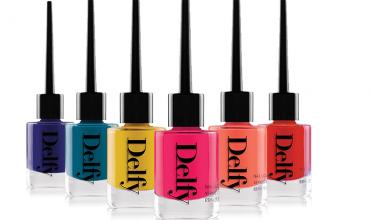 The collection introduces nine bright colours, including two top coats. Transforming vinyl into mascara with liquid technology and pure pigments, the mascara provides length, curl and instant volume. Infused with four ours, the lash care complex is at the core of the formula to structure and protect lash fibres. 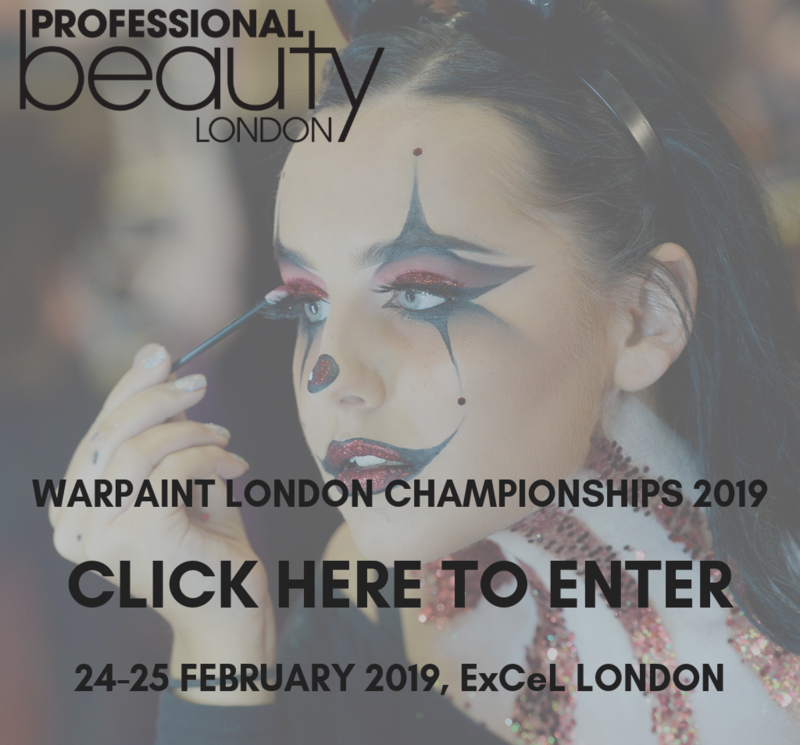 Shades include: I’m The Clash (black), I’m The Unpredictable (aubergine), I’m The Excitement (jade green), I’m The Illusion (dark hazel), I’m The Trouble (bright blue), I’m The Madness (fuchsia), I’m The Craze (violet), I’m The Storm (silver top coat) and I’m The Fire (gold top coat). Tom Pellereau, star of The Apprentice and creator of the curved nail file Stylfile has been thrilled with the launch of his latest invention, the StylPro Makeup Brush Cleaner and Drier. 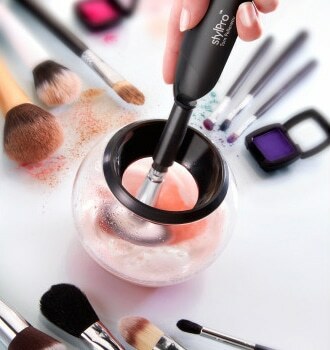 The StylPro is really simple to use and now available at PAM alongside the specialist oil-based brush cleaning fluid. 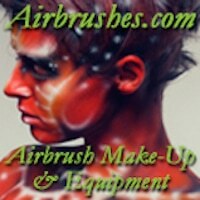 To clean, just attach any make-up brush using one of eight collars before dunking into the StylPro for 10 seconds, the mechanism then spins for another 10 seconds and then dries for five to 10 seconds, leaving the make-up brush completely clean and dry in less time than it takes to choose a shade of lipstick. 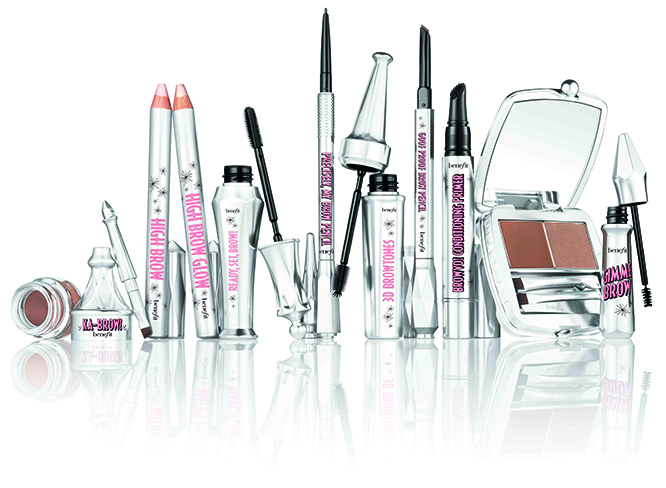 US brand IT Cosmetics, which launched in the UK at QVC last month, will be adding two new products to the line. 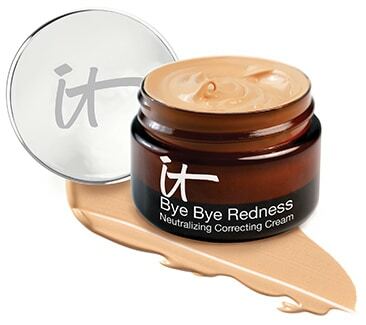 The new Bye Bye Redness (£25) is a neutralising and correcting cream that cancels redness in the skin. Enriched with anti-ageing ingredients and technology, the product camouflages redness and any red-tone skin discolouration from rosacea, broken capillaries, blemished skin, irritated skin, sun damage, scars, age spots, physician procedures and more. 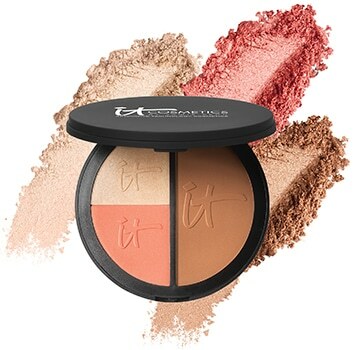 The new Vitality Brightening Anti-Ageing Face Disk (£28.00) offers a waterproof anti-ageing matte bronzer, brightening blush tint and illuminator. 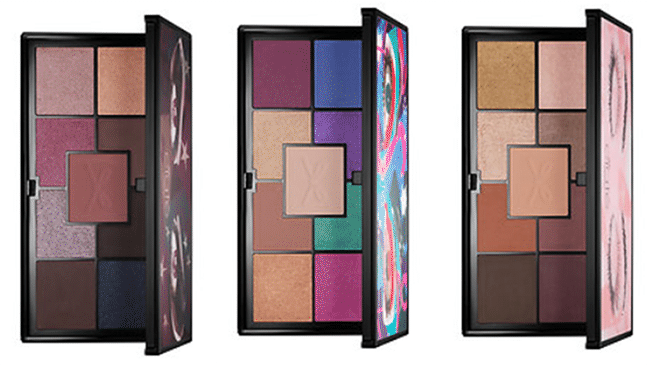 Key ingredients include peptides, hyaluronic acid, hydrolysed collagen, acai, green tea and vitamins A, C, and E.
Ciaté London has revealed its Pretty, Fun and Fearless Eye Palettes (£29). Offering three shade varieties, the shadows have been formulated to blend effortlessly while delivering vivid colour. 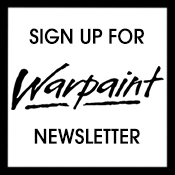 Pretty comprises soft tonal shades for the understated glam look; Fun features a selection of high-fashion bright shades; and Fearless comprises a selection of warm hues, from rust shades to intense smoky, earthy colours. The brand is also introducing its new Pretty Stix (£16) and Scrub Stix (£15). The Pretty Stix collection are 10 lipstick-balm hybrids that are infused with an exclusive blend of Brazilian murumuru butter and amino acid; while the Scrub Stixs offer a scrub-infused wax-free formula that contains eco-friendly micro exfoliating particles which gently work to buff away and flaking or roughness on the lips. Benefit Cosmetics has a brand new Brow Collection coming in June. With every product needed to groom and style brows, the line-up is formed of 13 products in a multitude of shades, as well as new packaging. The new Benefit Brow Collection features: Gimme Brow (£18.50), a brow-volumising fibre gel available in Light, Medium and Dark shades; Goof Proof Pencil (£18.50), a brow-filling and shaping pencil with a twist up sharpen tip and blending spoolie brush, available in 1 Light, 2 Light, 3 Medium, 4 Medium, 5 Deep and 6 Deep; Precisely, My Brow Pencil (£18.50), an ultra-fine brow defining pencil with the addition of a spoolie brush, available in 1 Light, 2 Light, 3 Medium, 4 Medium, 5 Deep and 6 Deep; Brow Zings (£24.50), a taming and shaping kit that includes wax, powder, dual ended brush and mini slant tweezers; BrowVo! 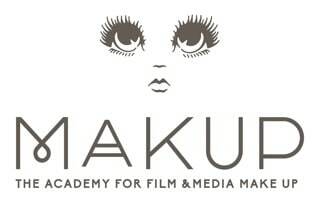 Conditioning Primer (£21.50), a nutrient rich clear primer for fuller-looking brows; Ka-Brow! 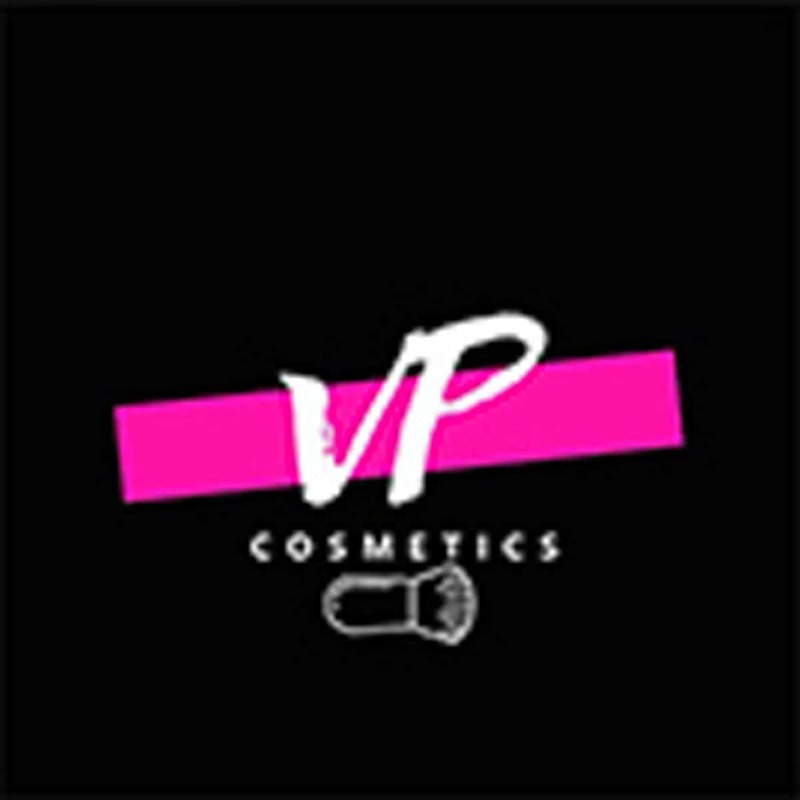 (£18.50), a cream-gel brow colour with brush, available in 1 Light, 2 Light, 3 Medium, 4 Medium, 5 Deep and 6 Deep; 3D BrowTones (£18.50), a subtle brow-enhancing highlighting kit available in 2 Light/Medium and 4 Medium/Deep; (£18.50), a clear 24 hour invisible shaping and setting gel for brows; High Brow (£17.50), a creamy brow highlighting pencil in Linen Pink Natural; High Brow Glow (£17.50), a luminous brow highlighting pencil in Champagne Pink; Grooming Tweezer & Brush (£15.50), Angled Brow Brush & Spoolie (£15.50) and All Purpose Sharpener (£4). Rouge Bunny Rouge has a new Long-Lasting Brow Liner ALCHEMY, available in two medium coverage natural shades, available in the UK later this month. The liner features a fine and sharp tip and a pigmented wax-based formula that is waterproof and smudge-free while providing a matte finish. Smith & Cult has created a Tainted Lip Stained collection (£24), offering a glossy-meets-balmy formula that is both richly pigmented and hydrating. Formulated to deliver a subtle stain while boosting moisture levels, lips are also left visibly fuller and plumper. Shades include: Linger Sigh (honey + bruised) and Sweet Suite (plastic + pink).